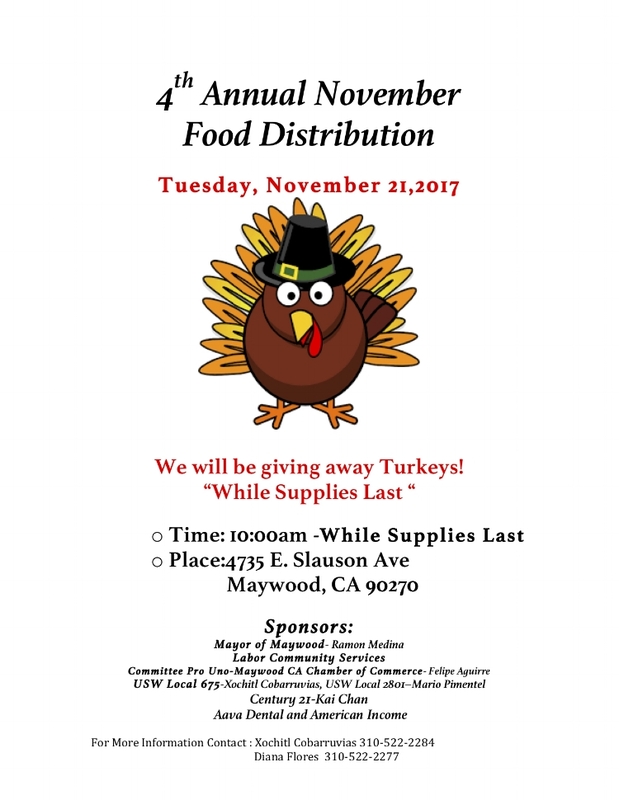 We will be having our 4th Annual Thanksgiving Turkey Distribution next Tuesday, November 21st at our Maywood Hall. 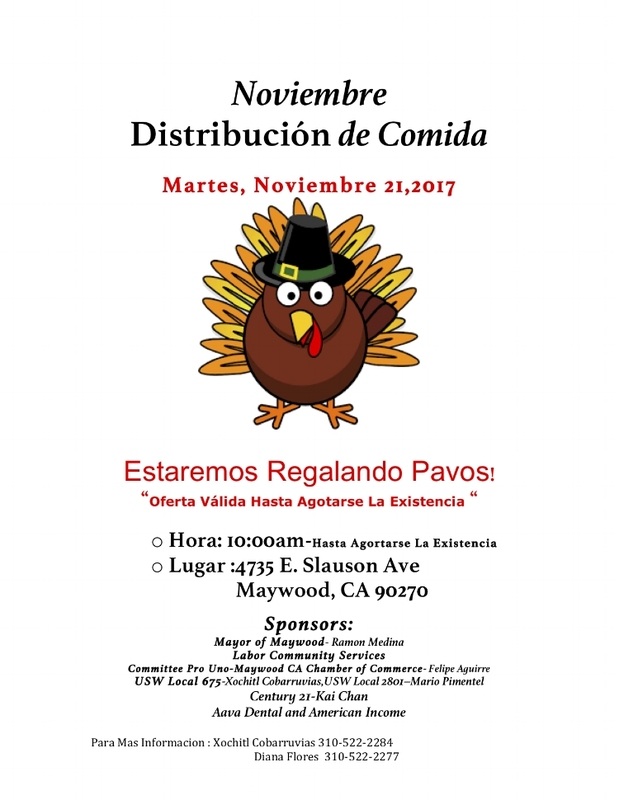 If you would like to volunteer with the distribution please contact Diana or Xochitl, their contact information is on the flyer. We would like to thank all of our partners who helped make this possible. And we hope to help as many families as we can to enjoy a happy Thanksgiving this year!